A bit of envelope art, this mixed media collage features a vintage image of a fish. To create the collage, paint, fabric and paper were added to the envelope. Embellished with hand embroidery stitches, this mixed media piece is a great example of recycled art. 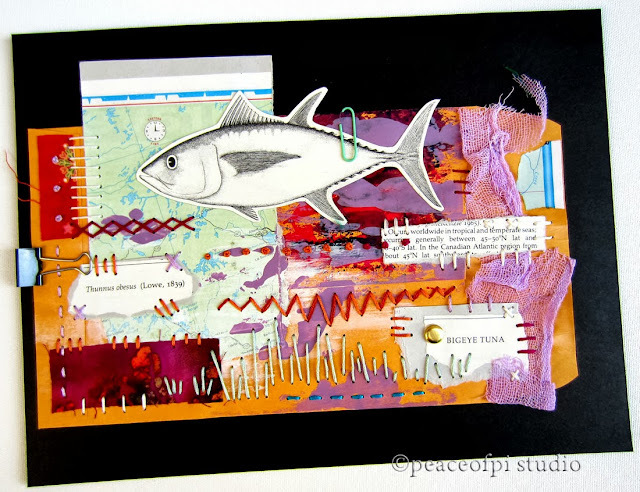 The individual elements in this fish collage were small leftover bits and pieces put to new use. Recycling can be pretty and fun!